Assuming you have limited time and cannot take every course that comes your way, how do you know which ones to choose? The first step to choosing a course is to identify what skill you want to acquire or kind of project you want to learn about. This sounds simple, yet it requires a realistic assessment of how you already write and a basic understanding of the range of writing projects out there. Writing courses tend to fall into one of two categories. Writing mechanics: courses that teach a particular writing skill, such as writing an effective lead or marketing your writing services. Writing projects: courses that teach how to construct a specific project, such as writing a web page or writing a resume. To choose a course, choose one. Look at the description of the course in question. It should outline specific objectives (after all, it’s a writing class … right?) and give you a clear idea about what information you’ll learn or skills you’ll acquire by taking it. Compare what you know you need to learn about with the course description. If they match up, then you may want to consider taking the course. Live courses and online courses: each has its advantages and drawbacks. A live course gives you immediate access to the instructor, so you can ask questions and get feedback right away. Often a live setting offers a small enough class size for discussions and peer critiques. One drawback to live writing classes is convenience. You must attend the class when it is in session – which may or may not fit your schedule. If you enjoy camaraderie in a live setting and scheduling is not an issue then consider a live class. Online courses run the gamut in offerings, from one-time webinars to a series of in-depth lectures and assignments that lead to college credit or professional certification. Some online courses require you to log in at a certain time using online chat as a means of discussion. Others are taken in sequence, to be completed within a certain time frame. Still others are self-paced. One advantage of online courses is access. If you have the use of a computer or mobile device with proper system requirements, you can take the course, regardless if you live close to the instructor or the venue. A potential disadvantage is isolation, which fosters anonymity and prevents accountability. You may not feel connected to your instructor or classmates and not keep up with assignments or fail to get answers to your questions. If you work well independently, an online course is a good choice for you. And if you need to take your courses after work, before work, on the weekends, or when the kids are in bed, online courses are a good option, too. 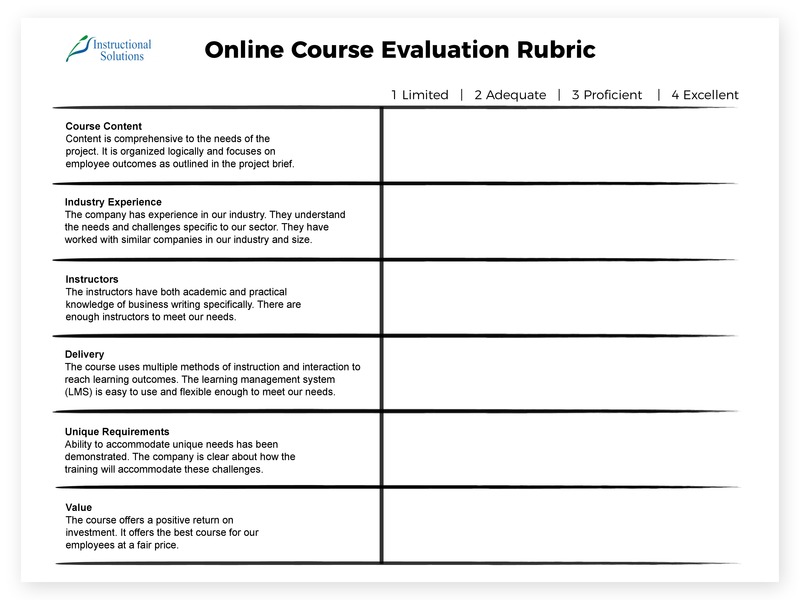 Use this rubric from Instructional Solutions to evaluate a writing course. 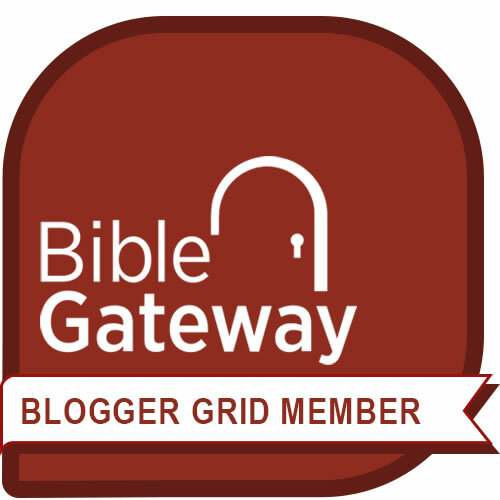 Download your own copy here. Check carefully to see if a course is in a passive format or interactive format. There is a big difference. A passive format simply presents information about writing that you can read or listen to, as in a lecture, e-book, video, or series of helpful web pages. It is a helpful option if you want to learn about a particular kind of project, but not necessarily a good choice if you are working on acquiring a new skill – which takes practice. An interactive format, too, presents information about writing, but then guides you to putting that information into practice with exercises. This approach is practical. You learn about the skill or project and then learn to use it. Some interactive formats go further offering instructor feedback, peer feedback, or even the definitive grades and certification for credit. Identify what you hope to gain from a writing course. 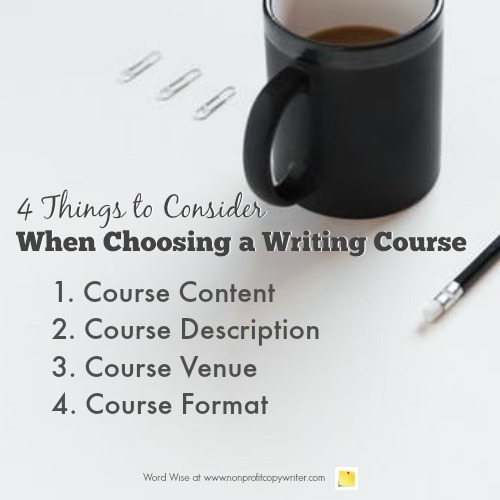 Then you can choose course content, venue, and format wisely … for your best purposes.